The Write Taste Tipples of the Month 2015. Historic and renowned Italian wine producer, Villa Sandi, is one of the biggest exporters of Prosecco in the world. The company's beautiful, 17th Century Palladian-style Venetian villa is located at the foot of the Valdobbiadene Prosecco DOCG hills in in the heart of the Prosecco region. In addition to sparkling wine, Villa Sandi also produces still wine from red and white grapes and one of these is described here. 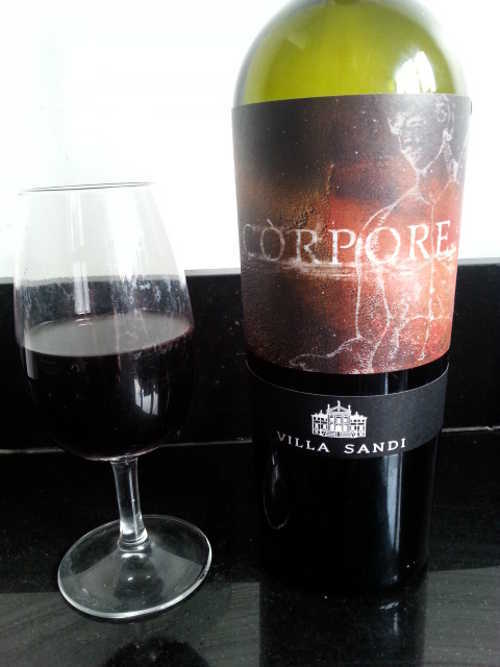 Villa Sandi's Corpore 2010 is made from 100% Merlot and spent one year in new French oak. The nose is aromatic with notes of blackberries, plums, cedar wood, tobacco, spice and hints of leather, while the palate is well-balanced and similarly fruity with gentle spice, a hint of liquorice, delicate vanilla oak undertones, velvety tannins and a lovely, elegant finish. This wine would make a good accompaniment to red meat or pasta dishes, especially in a tomato-based sauce.